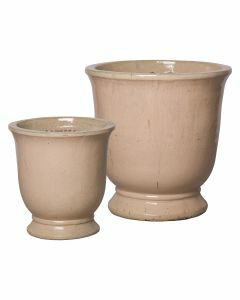 The Crossette wood tabletop garden planter is a classic with its simple, chic design. Perfect for display on tables, consoles, fireplace mantels and more. 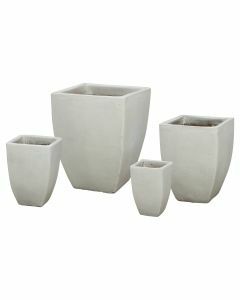 This planter comes as a set of two and is available in two sizes (T4 and T8). The T4 exterior measures 4”W x 4½”H x 4”D and the interior measures 3”W x 3½”H x 3”D. The T8 exterior measures 8”W x 8½”H x 8”W and interior measures 6”W x 6½”H x 6”D. The T4 weighs .5lbs and the T8 weighs 2.5lbs. A liner can be added for an additional charge, please select from drop down menu below. The liner is perfect for prevention of water damage and rot and will prolong the life of the planter. The production time is approximately 6-8 weeks. Tabletop planters ship via FedEx. 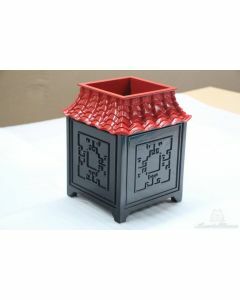 Although this is an outdoor image, this item is for indoor use only. Click on image for greater detail. This item is custom made to order and cannot be returned. The standard colors are white and dark green. Price is reflective of standard colors. Images show T4 size and T8 size with monogram customization in a custom black color. 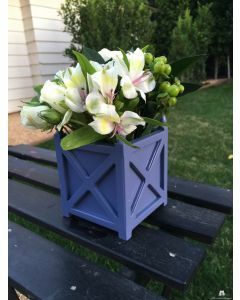 Please contact customerservice@wellappointedhouse.com to inquire about custom color lacquers and sizes. Additional charges may apply for custom colors, sizes and finials.